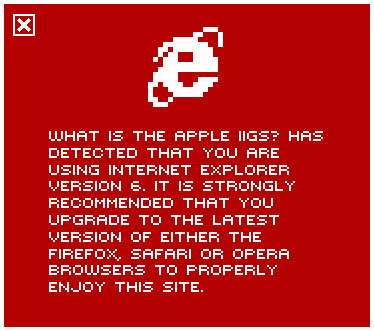 What is the Apple IIGS? 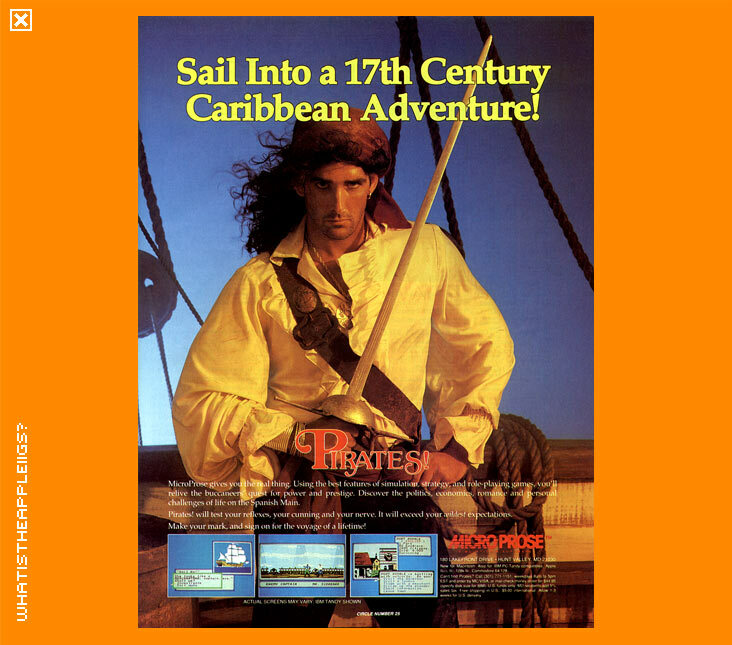 > Simulation Games > Pirates! In Pirates! you assume the role of either English or French sailors, Dutch Adventurer or Spanish Renegade. There's plenty of gold that never made it to Spain after being plundered from the Americas; so why not try to help yourself to it? Control can be achieved either through the keyboard or joystick. Beginning a new game will first allow you to choose which sea faring persona you want to be and at what difficulty level. Then in a tavern you are asked to provide news that will prove your worthiness. This is where the included text file is handy and will provide you with places and dates you'll need to answer. With a crew and ship, you'll be free to roam the seven seas. Events of the world change throughout the game, forcing you to make decisions according to your nationality. 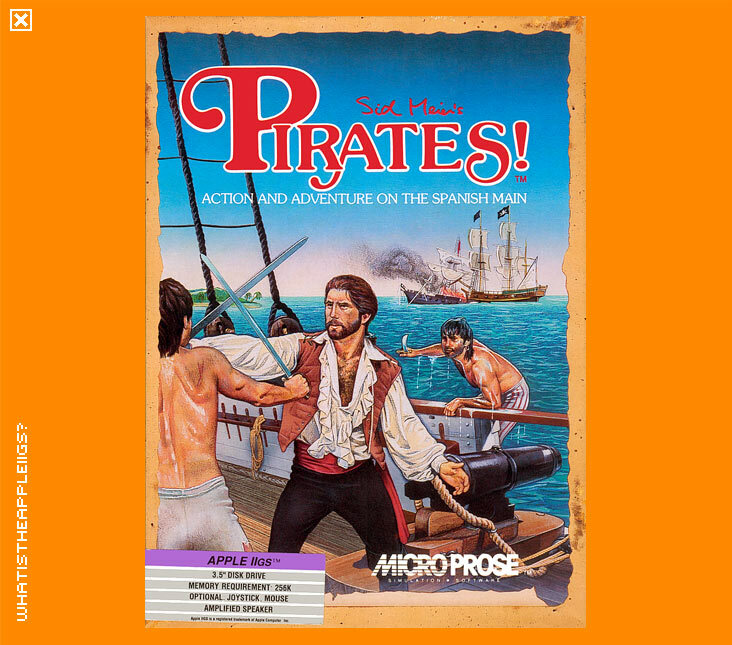 In the course of your adventures you'll navigate through the seas, land in foreign ports and maybe have to attack them, exchange cannon fire with enemy ships or board them to try out your swashbuckler skills with their captain. Fun stuff. The graphics of Pirates! are fairly average, but it doesn't deter from the fun of the game. It loads from ProDOS 8 so it's quick and there's very little loading after boot up. The game itself only requires 256k of RAM to run.